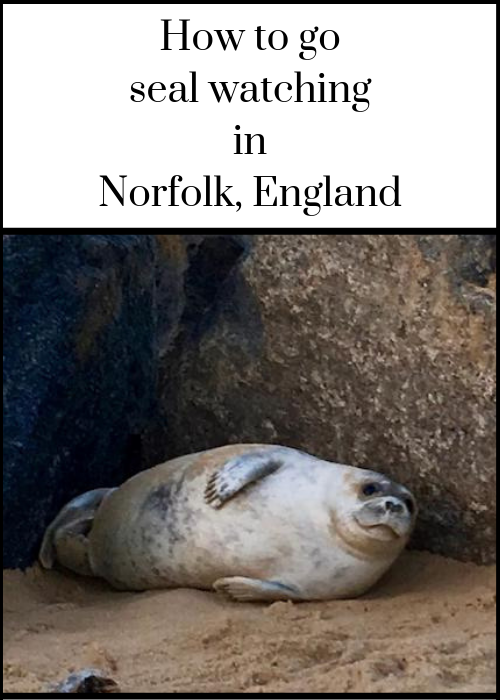 On a January trip to Norfolk to visit a friend I was amazed to see some seal pups on the sandy beach at Winterton. 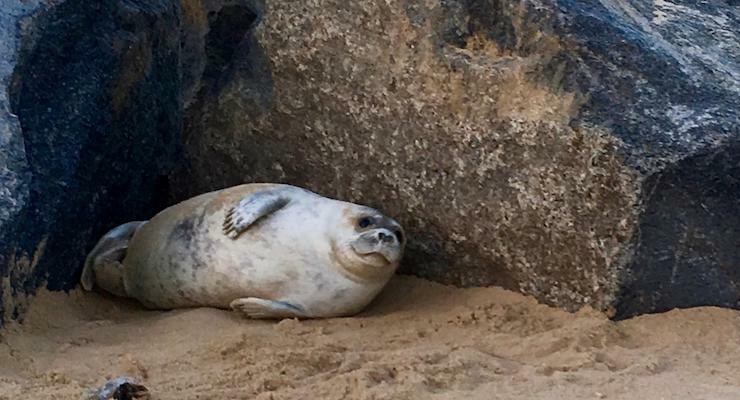 My friend is a volunteer seal warden at the beach, and she explained that these pups will have been born in December. Their mothers will have stayed with them on the beach and fed them for three weeks, and then left them to fend for themselves. When they’re born, seal pups are covered with white fur, which they gradually shed. Once a pup’s white fur has all moulted and they’ve trebled their birth weight, thanks to their mother’s milk, they head for the sea to hunt for fish. My friend said that when the seal pups are first born the beach is busy with visitors. 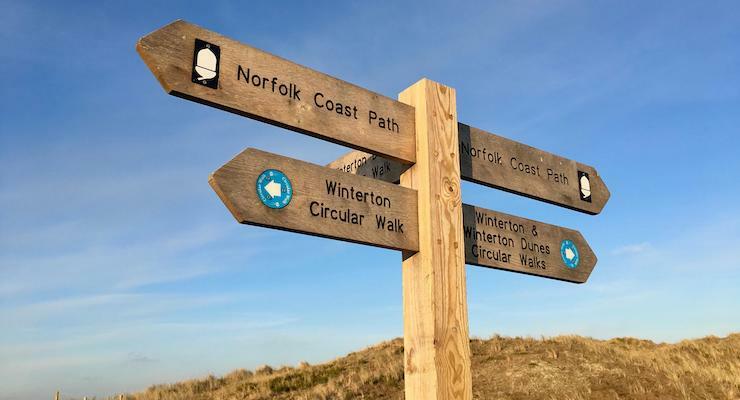 Volunteer wardens like her are needed to ask people to keep at least 10 metres away from the seals and to keep their dogs on leads, in order to protect the seals. On the day that we were there, we only saw a handful of pups, no adult seals, and there were hardly any people on the beach. A couple of seal pups were lying on the sand in the shelter of some rocks, and another one was heading into the sea. They did look very vulnerable, and it was an amazing privilege to see them there, just doing their thing. 40% of the world’s population of Atlantic grey seals live around the coast of Britain. These mammals spend most of their time out at sea, but during the winter months they come to shore and their pups are born. 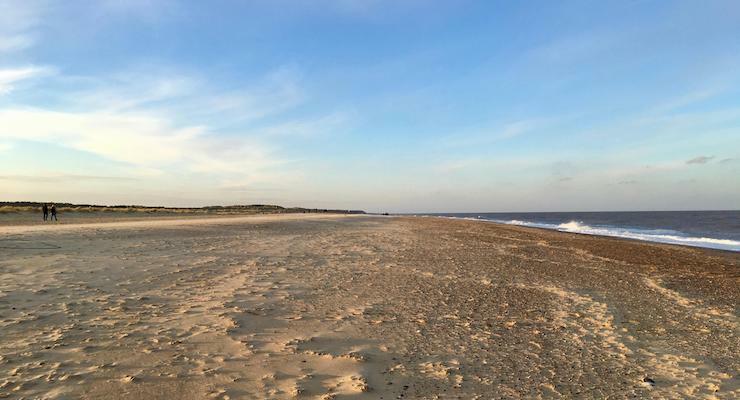 The Norfolk coast in the East of England is home to large colonies of grey seals at Blakeney Point, Horsey and Winterton-on-Sea. Male grey seals (bulls) can grow up to three metres long and can weigh over 300 kg. Females (cows) are smaller, and around half the weight of bulls. Once the pups are weaned, the cows mate, ready to give birth again the following year. The best time to see the seals and their pups is in December, when the pups are born, the cows are nursing and the bulls are waiting for them. It was very windy and cold when we were at the beach (unsurprisingly, as it was January) but my friend says that it’s quite cold there even in summer. If you go, wrap up warm and wear shoes or boots which are comfortable for walking on sand. If you have a camera with a zoom lens, take that with you to help you take photos of the seals, as you can’t get close to them. We drove to Winterton beach, parking on the approach road. There’s also a car park next to the beach, and a cafe. From the car park you have to walk through the sand dunes and along the beach to the area where the seals are. There’s no charge to access the beach. 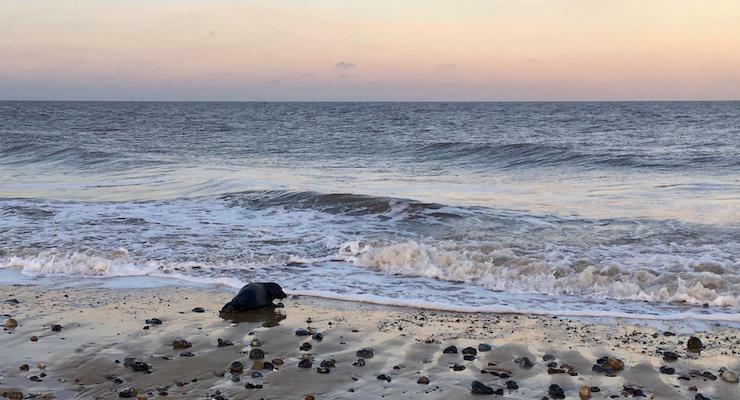 You can find out more about the grey seals at Winterton from the Friends of Horsey Seals website. Three weeks old – that’s so young! But I guess it’s natural….I never knew they were born so early in the year. It must have been thrilling to see them. It really was an amazing privilege to see them! I’m going to have to go back there in December, I’d love to see what it’s like then. Great area for a holiday home! I had no idea that 40% of grey Atlantic seals live around the British coast that’s a lot of seals which makes it one of the best places to go seal watching.